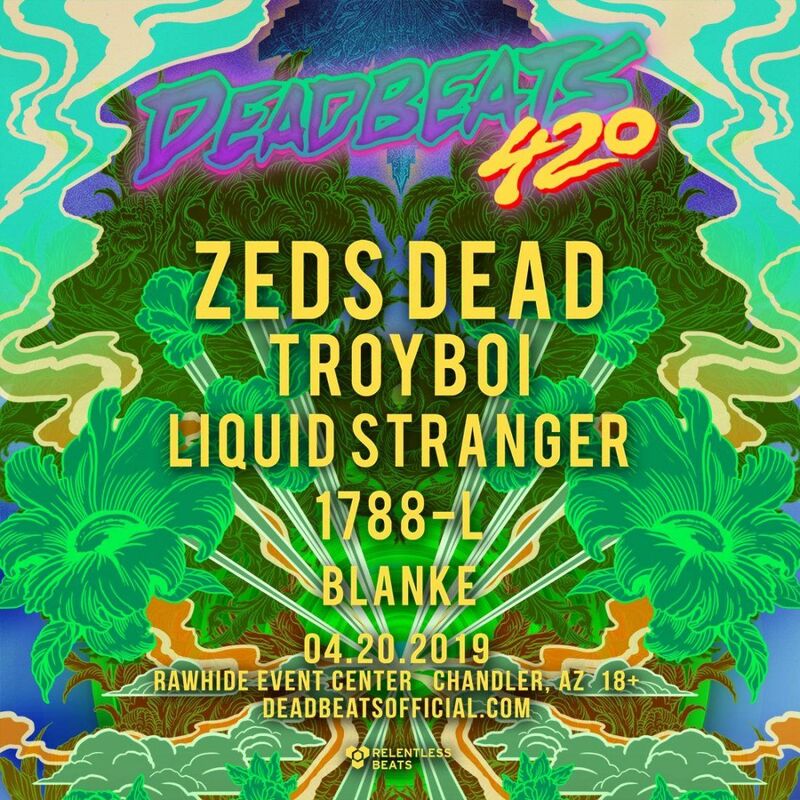 Relentless Beats has announced it will host Deadbeats 420, the Phoenix incarnation of the Deadbeats North American tour, Saturday, April 20, 2019 at Rawhide Event Center. Created as an extension of the Zeds Dead independent record label, Deadbeats, the 15+ date tour will carry forward Zeds Dead’s new vision for the future of electronic music and will connect passionate young creatives across the globe. The heady Deadbeats 420 lineup will feature: Zeds Dead; TroyBoi; Liquid Stranger; 1788-L and Blanke. General Admission tickets are available starting at $45, plus fees. The Frontlines VIP Pit Pass is available for $85, plus fees and includes access to the pit, express entry and a commemorative lanyard. All details and ticket types are available online at www.relentlessbeats.com. For more information about Deadbeats, visit www.deadbeatsofficial.com. Deadbeats 420 is an 18+ event.